What is Intercom? A Case Study in Using the Intercom Live Chat App. What is Intercom? How does it feel to use it? What can it do for your support, sales and marketing? This was our experience including key lessons learned. Intercom helped our 2 person email marketing startup go from amateur hour to full on support and sales machine and played a key part in generating 60%+ of our monthly revenue. We’ve also used it in our second company Upscope.io (instant ‘click to see their browser and take control’ screen sharing for sales and support). It’s having a similar impact, especially as Upscope requires more conversation. Imagine a new user comes to your website and likes the product but has questions. 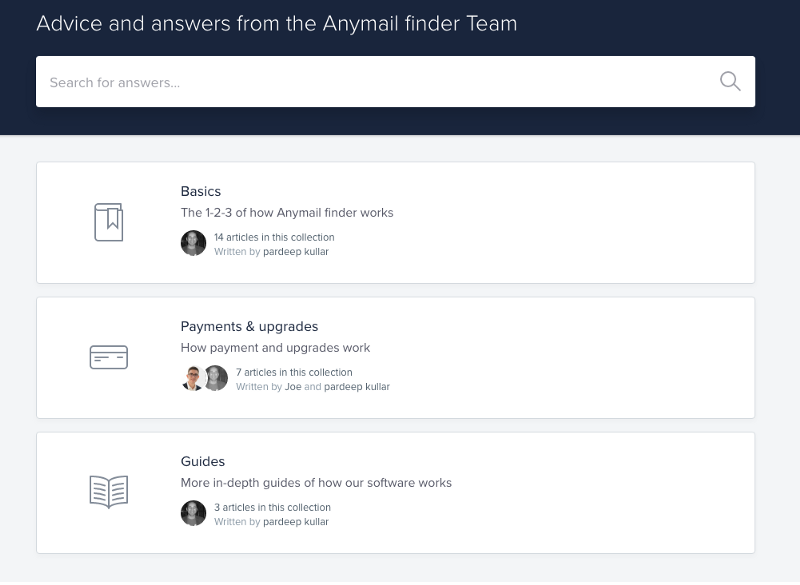 They ask you questions on the Intercom chat system that sits on your home page, you answer them and insert Intercom’s educational articles which you pre-built for questions just like theirs and they sign up to try your service. You look awesome at this point. After that, they automatically get a sequence of your pre-built Intercom on-boarding emails over several weeks that encourage them to trial and buy the product. Every one of you and your team’s conversations with them, whether it’s an email or a chat, is in one central feed so you can read your entire history with that customer. Intercom’s 3 main modules combine to do all of that so you can focus on the product rather than jumping around between tools. 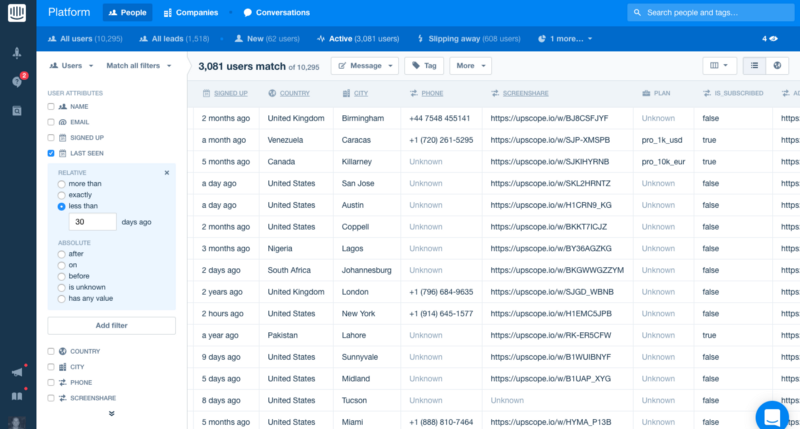 Intercom is a live chat system for support, sales and marketing teams. Its 3 main modules include a live chat module for communicating with users, an on-boarding module for sending automated emails to convert users into buyers and an educational module for answering a user’s questions. To the average user, it’s just a chat box. You see them on many websites and the user’s experience is very simple, similar to a chat on Facebook messenger. To you and your company staff, Intercom is a website with three main parts and you switch between those 3 main parts through the day. There’s the area where you chat to users. You’ll mostly be here. There’s the area where you set up and adjust onboarding email sequences and in-app pop up messages. There’s the area where you add new educational articles for questions that users repeatedly ask. It’s a system that refines over time to become a smooth support and sales operation. So, there are 3 main modules and each focuses on a different part of the user’s experience including chat, on-boarding and education. We’ll cover the 3 main modules we use below. 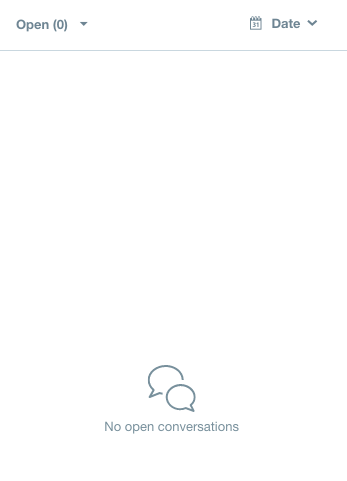 While the user sees a chat box, below is a picture of what the agent sees while chatting to users. 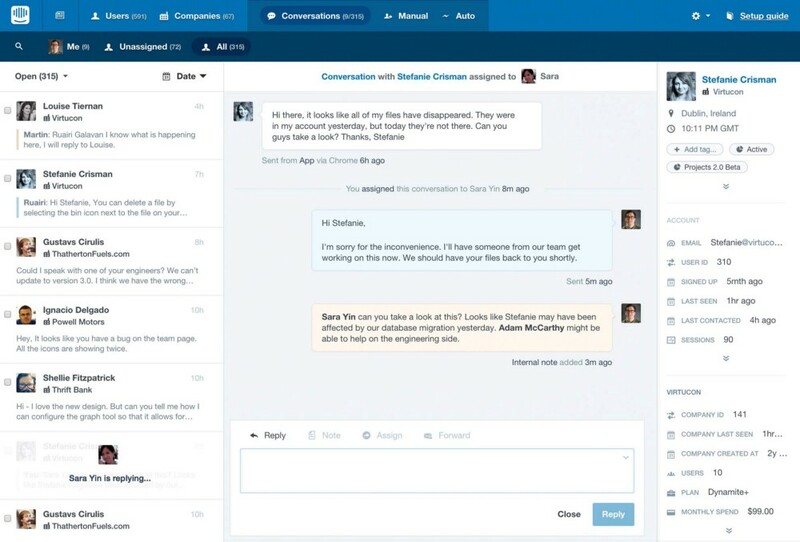 A live ongoing chat with a user is in the middle including internal notes. Details about the current user are on the right including their browser etc. This is where you spend 90% of your time. You’ll reply to people, insert help articles when they don’t understand features, update their payment plans by clicking on your own custom integrated links on on the right that lead to your admin section and generally hope to answer and clear all chats by the end of the day or week. The Respond module is 1 of the 3 main modules. In size it’s probably the second biggest module. 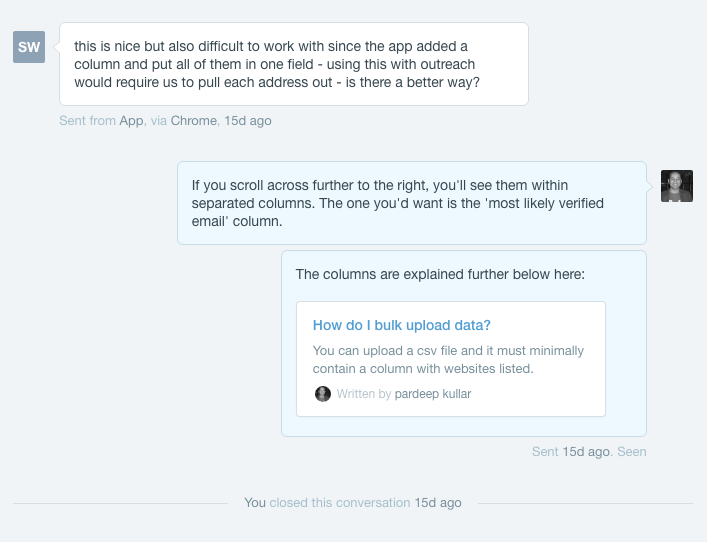 The largest, which we’ll cover next, is the backend automated email and in-app message section. This is a big one and you’ll spend a lot of time here when you first install Intercom. It’s also the one area that makes Intercom different to many other chat systems and may be the primary reason why Intercom is so popular. Show automatic in-app messages to encourage conversations and show them links to key content. An in-app message is when you come to a site and the chat box automatically opens with a default message that can be anything from ‘hey there, how can I help’ to ‘Read this article that…’. Send automated sequences of emails after they’ve signed up to onboard and educate them and eventually convert them into paying users as well as continue to educate and upsell to them after. We have around 10 in-app automatic messages people see depending on the page they’re on. For example, if you come to the pricing page, it asks “Do you have enough information to complete your purchase?” and that helps trigger conversations. We also have around 20 automated emails broken down into several campaigns like sign up, trial, purchased and cancelled. Each either look to inform or to get feedback. We spent a lot of time getting on-boarding emails right so they get the right information or trigger depending on which part of the user journey they’re on. While Intercom has automatic onboarding emails, it also lets you manually send out an email to all your subscribers. See Intercom for sales to for a case study on using Intercom to grow sales by sending out special offers. Here are some example email templates for a real Intercom install. It’s a great way to see how a company uses Intercom from sign up to beyond purchase. It includes the multiple emails sent that help overcome key install problems, the account managers welcome email, the request for feedback on why thy did not purchase or why they cancelled and more. Insert help articles directly into chats. When someone asks a common question we don’t need to type it all out again, we just click a button, find the appropriate short article and click ‘add’. It also creates an SEO friendly help section people can search. Inserting an article that contains all the commonly asked questions about bulk upload. Brief notes on the 4th module aka The Platform. 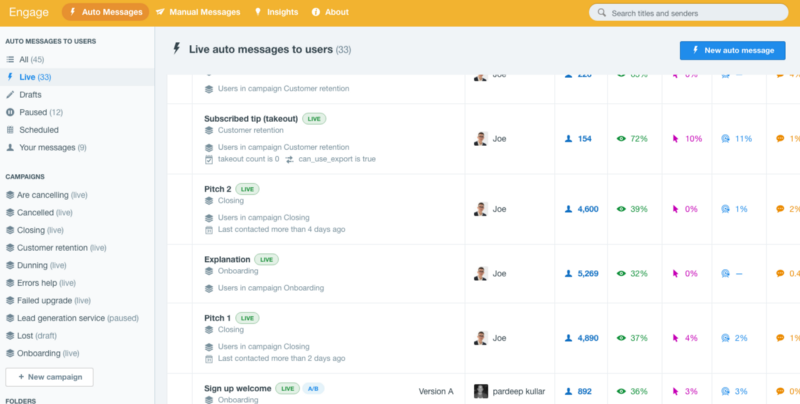 While Intercom does refer to this as a 4th module, this is effectively a list of your users on the Intercom platform. You can filter them, search through them, export them and more but it’s more like a CRM list. It might be useful in seeing new sign ups, total users and it also has an import component though we’ve never used it so far. 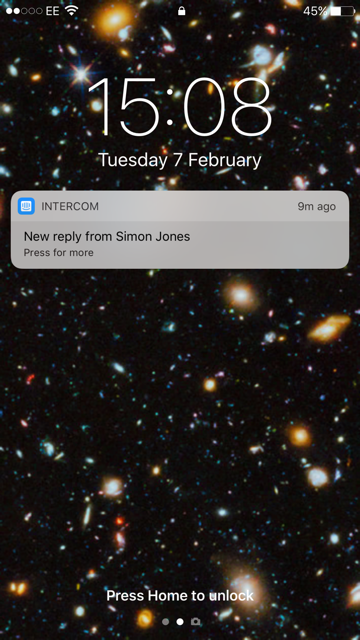 How does intercom ‘feel’ when you’re using it for support and sales? Ping! A user messages you. A user has typed a message in the chat box on our website and I see the alert on my desktop or, if I’m not on the Intercom tab on my desktop, it’ll notify me of the chat on my phone. One way or the other they make sure you get that notification. I answer either on my phone or I’ll go to intercom on the desktop to be able to type quickly. It shows me information about the user and their message. I know which country they’re from, I can see my previous conversations with them, I can see which page they’re on. I get a rough idea of what they might be enquiring about even before reading the message. Ping! Wake up buddy this guy has been waiting for 9 minutes. Get on it! Answer it directly on mobile or switch over to Desktop. Half the time the queries are very similar. 50% of the time it’s a query about features or pricing or ‘cannot upload file’ or ‘how are you different from your competitors’. These days, thanks to their introduction of ‘intercom educate’, I can link half of them directly to articles that explain features without leaving the chat box. Saves an incredible amount of time, it’s painful typing the same thing in different ways to different people. Sometimes it’s necessary to customise it. We can go directly from chatting to their admin account in one click. If the request relates to changing their features then I’ll click on a link on their profile in intercom that leads directly to our admin panel for that user and I’ll make the change there. We use this a hell of a lot. 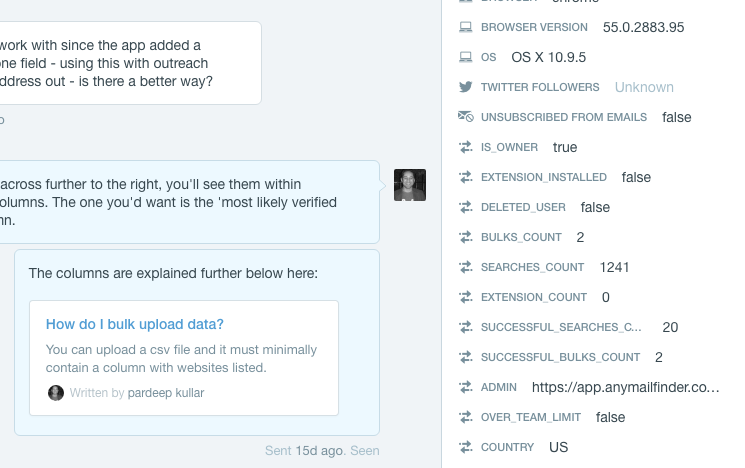 Simple link integrations like these make intercom 10X more useful. As we chat, we can see all the user details on the right and the link to our own admin panel to make changes to their profile directly in one click. We pass queries on to each other to close. If I can’t understand what they want because it’s a query about the API, then I’ll click to the internal ‘Note’ tab and write @joe who will then get the notification. He can reply with an internal message to me or respond directly to the user and so allocate that conversation to himself. I can do an internal, team only, message and Joe will get notified. He’ll take over from there. We close chats to get that ‘clear’ the day feeling. Once done, I’ll close the chat. If I forget to close it then Joe will read it and close it. We look to clear all chats as soon as possible. If we can’t resolve one that day we’ll leave it open and know it needs to be done in the morning. Automatic messages are going out all the time. Often these are the triggers for a conversation. Users get an in-app message about a feature and they ask questions. Users get an email about a better way to use the app and they say thanks or ask more about it. A new user is taken through an entire sequence of emails that help them understand the app. Various users are at different stages and we regularly check the stats on which emails are working. A big percentage of responses take just seconds. Simple queries, we are used to getting and have material for, are answered within seconds. Others will take a few minutes and some are full on for an hour. A rare one will go over several hours in bits. We have around around 50 people signing up each day (now that we’ve put some restrictions on it) and up to 1,000 who turn up to the site each day. People appreciate the ability to chat. They trust us more because of chat. They may even like us because of the relationship we build up over time. What were we doing before intercom? People contacted us by email, then we tried a very simple live chat system but we’d still have to pay for a separate system to send campaign emails. Separate system mean’t too much mental friction in executing plans and understanding where we stood with each user. 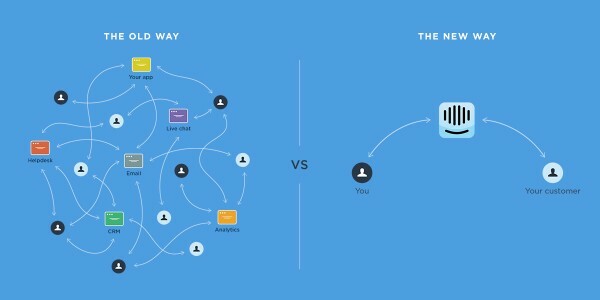 Why did we choose intercom? We just gave it a go without really understanding just what a beast it was. It has taken time to understand how to make maximum use of it but we can’t imagine functioning without it now. It will be one of the first things we install on a new project. It makes us look like a fully co-ordinated team much larger than we actually are. Increased sales and potentially 60%+ of our revenue. Hard to say how much but I reckon 1 in 3 of our total customers live chatted with us before buying but a few buyers make up half our total revenue. As 9 out of 10 big buyers chatted to us and often at length before buying, it was fairly essential to have intercom. Some would have emailed but intercom made a difference to most of them. Enterprise level customers made it clear they expect great support. Feedback. This could well be first on the list of benefits. People talk to you and they tell you straight what is right or wrong. They tell you how you compare to competitors and which features are different. How many people do this via email? How many conversations can you get into via email? Very few in comparison. 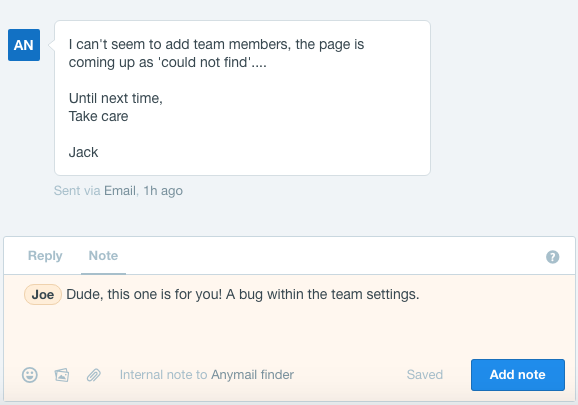 Intercom live chat helped us adapt faster. Automatic conversions. The auto messages help educate, persuade and build trust. Ease of support and ease of mind. It’s just a shed load easier to have the chat and emails from one person all within one stream and with multiple team members able to contribute and help solve problems. Base educational articles on questions people ask. First take note of questions, then write articles. The educational articles are great to insert into a conversation to explain something rather than typing out the same thing again and again. So, base the educational articles on the questions you get. If you don’t, they end up being too long and not related to a user’s actual problems. We have lots of short question specific articles and that does the work. Segment users. When you have different features for different users and you up-sell services, then being able to send the right email to the right segment matters. We took time to understand the segments but then were a little slow in setting up the emails for them. There is a fear in sending too many emails but people appreciate them when they add value. Use support response stats for marketing. This is not so much a lesson learned but just a nice simple opportunity. We responded to people rapidly and intercom recorded our response stats. We put those up on our about us page and elsewhere as proof of good customer service. 3 minute average response time most days apart from Saturday where we start slacking and it goes to 30 minutes. We have a fast response time at pretty much any point at which we were awake from 8am up to midnight. 101 reasons to embrace live chat.